Groupon is on pace to eclipse $1 billion in sales faster than any company in history. If you’re receiving this email, the odds are you’re technically and financially savvy enough to already have signed up to receive their daily emails, targeted to your geographic location, offering huge 50% to 90% discounts from local retailers. 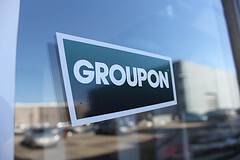 Open Door Auctions offers our sincere congratulations to Groupon founder, Andrew Mason. Way to go, guy. You’re what capitalism is all about. The only problem we see with the thing is there’s no Groupon for real estate. Property professionals, buyers, and sellers are left to muddle through the old-fashioned dysfunctional mess that is the state-of-the-art in that industry. Platinum Properties Investor Network founder and CEO, Jason Hartman, quickly realized that real estate needed a way to broadcast daily deals to people interested in finding the best properties on the market quickly. Thus Open Door Auctions was created. We truly are the Groupon for real estate. Log onto our website any day of the week to peruse the latest additions. Our listings are always fresh because our two week sales process keeps them cycling through. Like Groupon, you have the potential to snap up a seriously lucrative below market deal. No guarantees, of course, but if auction attendance is low and the seller is motivated, it could get crazy. Whether you’re an investor looking to add another income property to the portfolio or a family looking for the perfect home to set down roots, it makes a lot of sense to visit Open Door Auctions first, the Groupon for real estate. If you’re receiving this email, there’s a good chance you’re already on our list to receive notice about the newest, best deals we acquire. If not, visit the website to sign up. When you’re ready to experience a real estate transaction the way it should be done, visit Open Door Auctions at www.OpenDoorAuctions.com (insert live link) and browse our database of available properties.